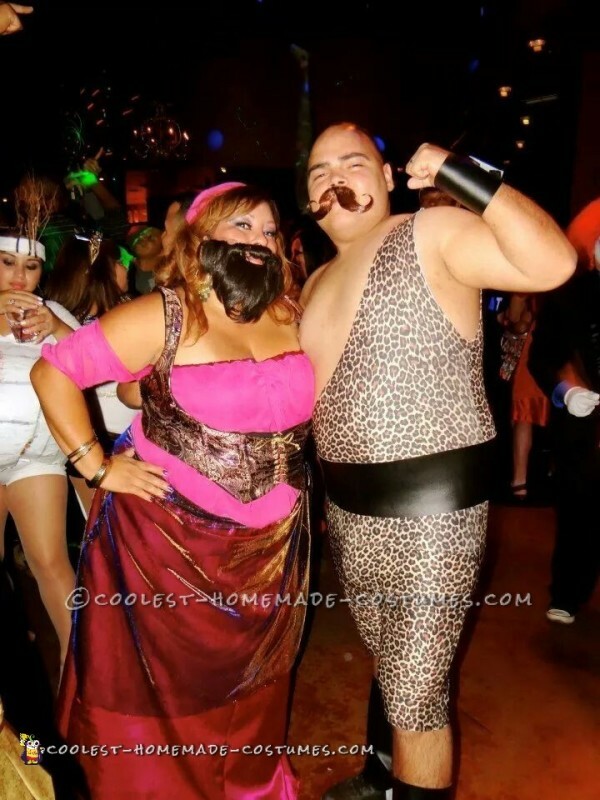 I hand made every piece of both Circus Freaks costumes. I am no professional but trial and error works for me. 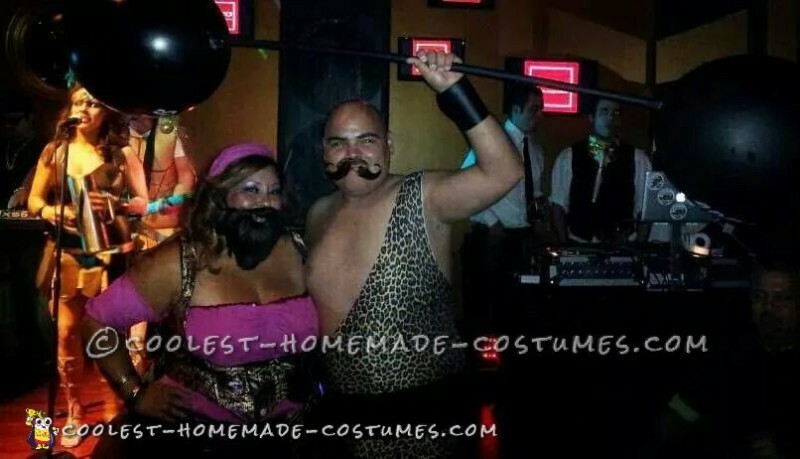 More than anything, i was surprised that my husband agreed to walk around in leopard print lycra :) we used 2 thick balloons for each side and a pvc pipe to make the barbell. We used a heat gun to bend the pvc pipe a little to give it the balloons a heavy appearance. They worked out great until my husband placed them on a table right over a lit candle!